Modern, Made in China. 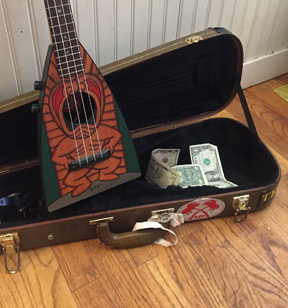 Ohana makes all sizes of Ukuleles, as well as a "Vita Uke" inspired one. Possibly the same manufacturer that makes "Vineyard",as Vineyard was a partnership between Louis Wu and Paul Chu. Louis Wu left Vinyard to form Ohana.